From here, the Westboro Baptist Church case will be appealed | Jon Katz, P.C. From October 22 to October 31, my life was consumed with my defense of the Westboro Baptist Church (WBC) and its pastor before a Maryland federal jury against charges of intentional infliction of emotional distress and intrusion upon seclusion. Each day, I drove to the heart of Baltimore for this trial, not once getting the time to enjoy the city except for the last day, during lunch while the jury deliberated. Only after the jury issued its verdict on October 31 did the court lift its gag order preventing the parties from communicating with the media, whose members daily covered the trial. The case arises from the picketing and related activities of WBC members concerning a soldier’s funeral. I very much disagree with WBC’s views, including its decision to picket soldiers’ funerals. Of course, I believe strongly in responding to reviled speech with counterspeech. In addition to the above-listed emotional distress and intrusion upon seclusion charges, the lawsuit filed by the soldier’s father alleged defamation, which the court dismissed the week before trial commenced. Committed to robust First Amendment protection, I accepted the role of defending WBC and its pastor in this lawsuit, while departing strongly with their message and actions. Having declined to dismiss the remainder of the lawsuit, the judge sent the case to the jury, which on October 31 returned a total verdict of $2.9 million in compensatory damages and $8 million in punitive damages. These are huge numbers, to say the least. This case stirs people’s passions. I have heard from people taking issue with my defending WBC and its pastor in this case, and from others agreeing with my standing up for First Amendment rights, which I do again and again for people from across the political spectrum, believing that picking and choosing within the political spectrum is disingenuous to upholding the First Amendment. 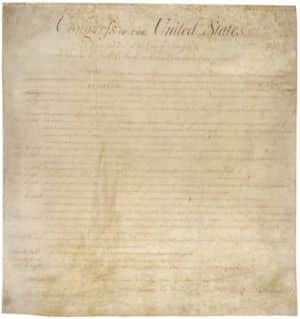 I went to law school idealistic about using my law degree for civil liberties, learned during law school that First Amendment rights are suppressed all the time, and feel heartened about being able to light a candle rather than to curse the darkness, through my First Amendment defense work. This WBC case will now proceed to the United States Court of Appeals for the Fourth Circuit, where the First Amendment issues will be argued and reviewed. Jon Katz. ADDENDUM I/II – November 4, 2007. Several people have been emailing me about this case, all disagreeing with the defendants’ views and actions, some cheering the verdict, some taking exception (and sometimes strong exception) to my representing Westboro Baptist Church and its pastor, and some supporting my standing up for the defendants’ Constitutional rights. “As you apparently recognize, I do not share the Westboro Baptist Church’s views. At the same time, I believe strongly in having their speaking, picketing, and preaching activities protected by the First Amendment, lest First Amendment protection not be extended to speech that I hold dear. “I have been very much influenced by the American Civil Liberties Union to represent such clients as the Westboro Baptist Church. The ACLU lost many members when it supported the right of nazis to march down the streets of Skokie, IL, through a neighborhood with many Jewish people, including Holocaust survivors. I was in high school at the time, and it took some time for me to understand and support that position. Ultimately, the ACLU enjoyed a surge in membership, including with the PATRIOT Act-related substantial curbing of civil liberties. “More behind my decision to defend this case is here https://katzjustice.com/?p=821.